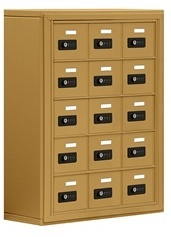 Cell phone storage lockers are used by many organizations to both protect cell phones from theft and to prevent cell phone users from abusing cell phones. People have become so dependent on these devices that they are constantly talking, surfing the web, emailing, and texting one another throughout the day. Cell phones are actually replacing face to face conversations with people of all generations who have adopted their use. It is not anyone’s place to put limits on what another person does with his or her personal time, or how he or she chooses to interact with other members of the human species. However, for those who prefer to live in an electronic world, certain behaviors specific to cell phone use cannot be tolerated during work or school hours. Because of this, practically every organization is going to need cell phone storage lockers if people continue to use the devices to the point of overusing them the way we already see them doing in bars, cafes, restaurants, bus terminals, bus stops, and even nature parks of all places. For example, government employees may decide to send personal text messages about their work activities to family members or significant others. During the normal course of conversation, without any malice intended, they could inadvertently divulge sensitive information that could then go viral on the Internet or even worse, be leaked to TV media. At the lower levels of government this could affect law enforcement investigations. At the highest levels of the Federal Government, it could affect national security. Therefore, it is wise for any government building on any level to require that personal phones, and especially smart phones, be kept in cell phone storage lockers during the employee’s work hours. Another place where we see a great deal of cell phone abuse is in our public schools. Students claim that they need their phones for emergencies. They get this from their parents who make the same claim. Schools require phones to be kept on silent and forbid students from making calls on campus unless it is an emergency that the school would call 911 for anyway. Students get around this rule by texting personal messages and not paying attention in class. In colleges, adult students of all people use cell phones to cheat on tests and download plagiarized papers to turn in to professors. Cell phone storage lockers are the only way to stop this abuse. If every class room has a place for a student to put his or her locker, then the phone is safely stored until the end of the session and no abuse is possible. Of course, if there really is an emergency that requires the use of a single cell phone to save the day, the teacher has a master key that can open all the cell phone locker combination locks at once. Offices also should have cell phone storage lockers for their employees. Personal calls and emails from employee workstations can be strictly monitored by the phone system and IT director. However, wireless devices cannot be monitored and therefore present too much of a temptation to email or text when work should be done instead. All cell phone lockers are much larger than they need to be to store just a cell phone. They can hold hand held computers, wallets, car keys, and jewelry as well, so they are really ideal as all purpose employee lockers. This article was published on Tuesday 31 May, 2011.